India is the world’s biggest provider of cheap and affordable medicines to the developing world. Of course, most developing countries don't like that! This debate over global drug pricing is one of the most controversial issues between developed countries and the developing world. 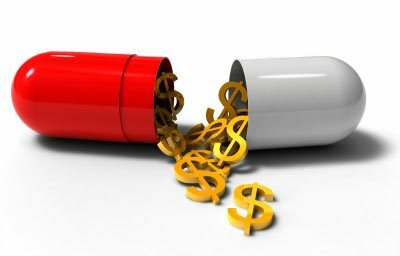 While poorer nations maintain they have a moral obligation to make cheaper, generic drugs available to their masses, global pharmaceutical companies claim that the profits they reap are essential to their research. Most of the debate is over the difference in Patent laws different countries subscribe to. In 1970, India amended its patent law to have patents awarded only for the processes to make medicines, not for the final products. This helped India to became the pharmacy of the world's poor, and allowed its many drug producers to create generic copies of medicines still patent-protected in other countries — at a fraction of the price charged by Western drug firms. According to the Guardian, It was only when Indian firms began to make affordable copies of HIV drugs that it became possible more than a decade ago to contemplate the treatment of millions of people in impoverished countries of Africa, where the AIDS epidemic was at its worst. All this seemed to be in jeopardy when in 2005, India’s parliament, under Western pressure, amended the patent law to comply with World Trade Organization rules, and started to grant patents for drugs discovered after 1995. Swiss pharmaceutical giant Novartis saw this as an opportunity to acquire patent over its drug Glivec. Widely recognized as one of the most important medical discoveries in decades, Glivec is an important drug in the treatment of myeloid leukaemia and has transformed prospects for patients in rich countries. It is a targeted, biological therapy that blocks cancer growth in patients with a particular gene mutation. The drug costs as much as 40 lakh Rupees a year, while Indian generic versions were priced at about 1.5 lakh Rupees a year. Since the drug was invented in 1993, Novartis sought patent on a slightly altered version, potentially giving it a longer period of market exclusivity. After six years of legal battle, in April last year, the Indian Supreme court ruled that small changes and improvements to the drug Glivec did not amount to innovation deserving of a patent. Although the decision was to prevent evergreening of Patents and a purely legal one, the humanist organizations welcomed it. Numerous campaigners hailed it as a major step forward in enabling poor people to access medicines in the developing world. Dr. Unni Karunakara, the head of the Nobel Peace Prize-winning Médecins Sans Frontières (Doctors Without Borders) said “This is a huge relief for the millions of patients and doctors in developing countries who depend on affordable medicines from India, and for treatment providers like MSF,”. Novartis threatened to stop supplying India with new medicines if it did not get the patent protection it believes its investment and innovation deserve, while India continues to export about $10 billion worth of generic medicine every year. India and China together produce more than 80 percent of the active ingredients of all drugs used in the United States. Meanwhile, The U.S. pharmaceutical industry has been lobbying hard for International trade agreements, such as the proposed TransPacific Partnership, which will more stringent patent protection rules on developing countries like India. 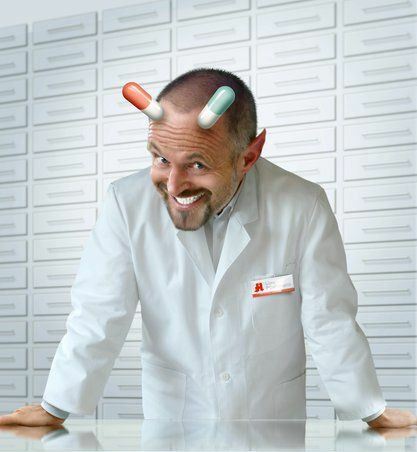 Have the Novartis, the Bayers, and other 'Big Pharma' syndicates of the world become so self indulgent, that they have forgotten what health care is all about? In a 'global economy', where they conduct most of their research, development and human trials in Asia, Africa and South America, is it not being extremely short sighted when they price their medicines with just the European and American population in mind? Just because the west follows a patent process that has been designed to enable the CEOs and the Executives to earn a hundred times more than the PhDs and engineers innovating in labs, doesn't make it the 'gold' standard that the entire world should aspire to emulate. Meanwhile, thanks to the Supreme Court of India, Intellectual Property Rights has not yet taken precedence over Human Rights. At least not in this part of the world.